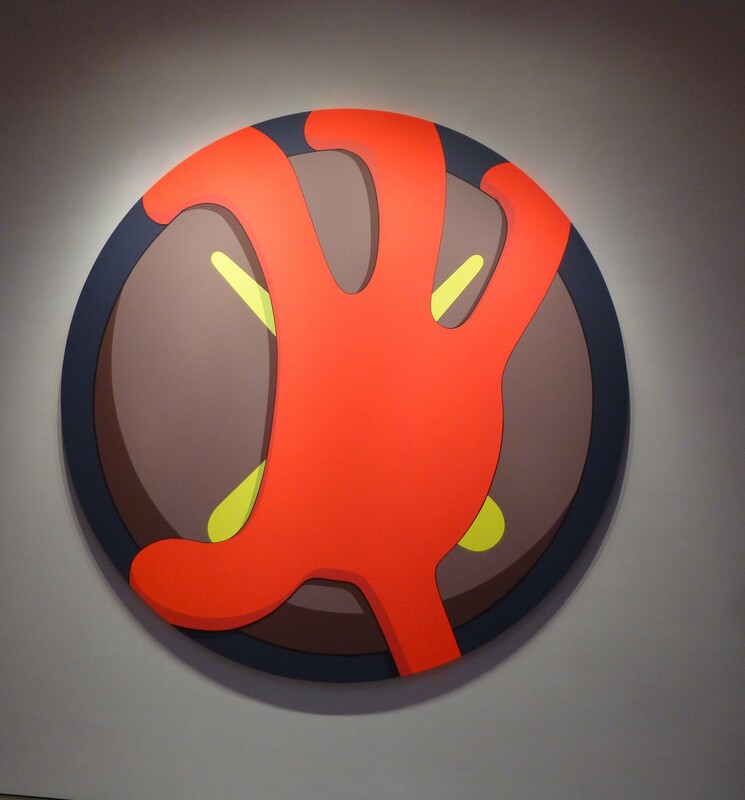 Street Artist turned fine artist and designer KAWS (Brian Donnelly) is the subject of the above video feature created by Mass Appeal (a digital content channel platform). 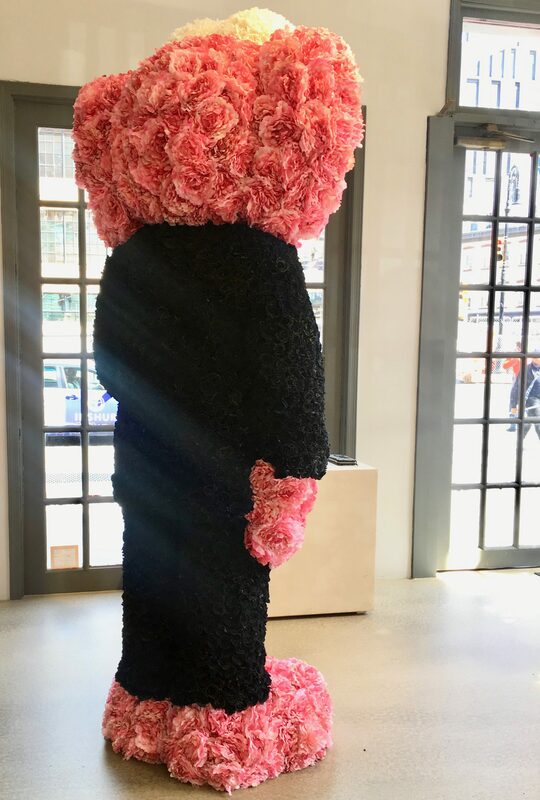 Kaws is ‘caus-ing” a bit of a commotion just recently with his design for the MTV Awards stage and a concurrent exhibit at Mary Boone Gallery in Manhattan, but this video focuses on what is his largest installation to date, now on exhibit at the historic Pennsylvania Academy of the Fine Arts. 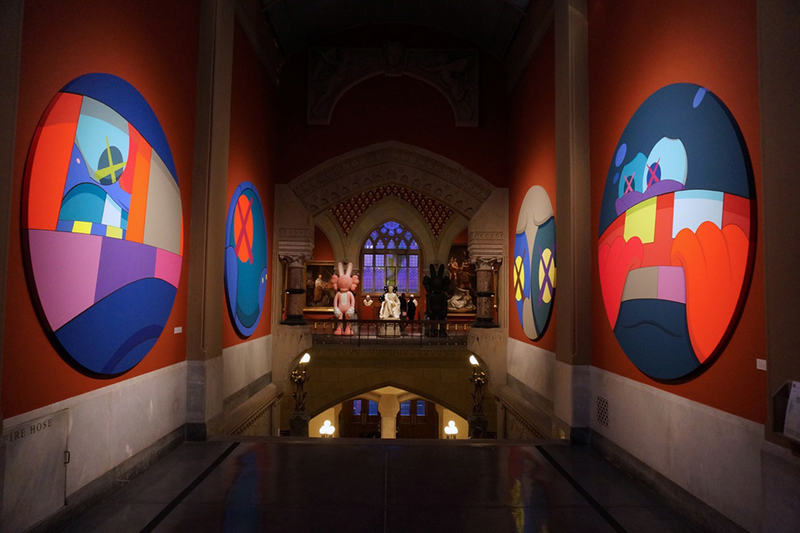 This exhibit at PAFA says so much about the evolution of street art to fine art, as KAWS, speaks about hosting the biggest exhibit of his career in one of the oldest museums in the US. At PAFA, his modern sculptures, paintings, and designs are displayed in installations around other famous artworks from the 18th and 19th centuries – creating a distinct view of how far art culture has come. 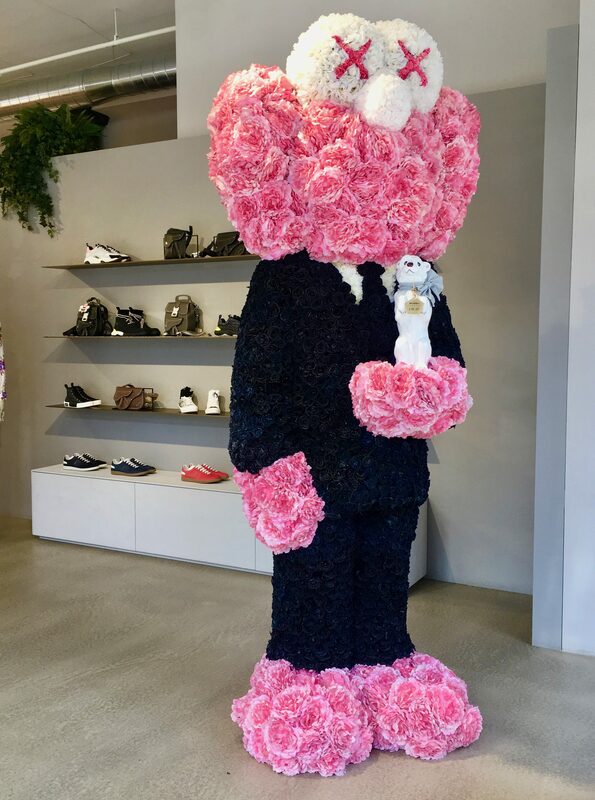 In this fun video, KAWS discusses his approach to the installation, how the project came to be, how he worked with the space and the materials he used. 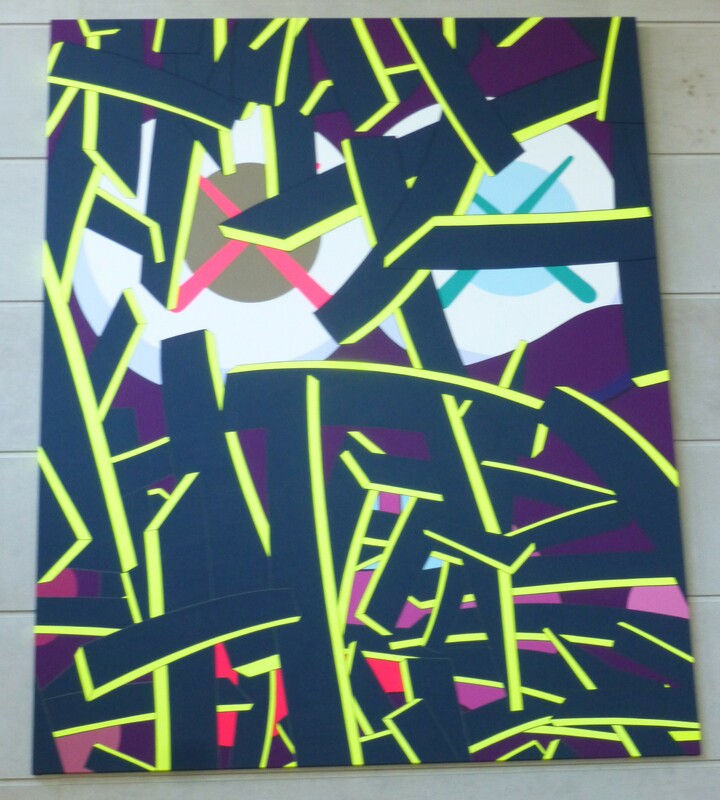 KAWS at PAFA will be on Exhibit Through January 5th, 2014, while his Sculpture at the Building’s Facade will be on Display Into August of 2014. Find Out More About the Exhibit, and Get Museum Hours and Information, at This Link. When you’ve got a big room, you’ve gotta fill it with big art, amiright? 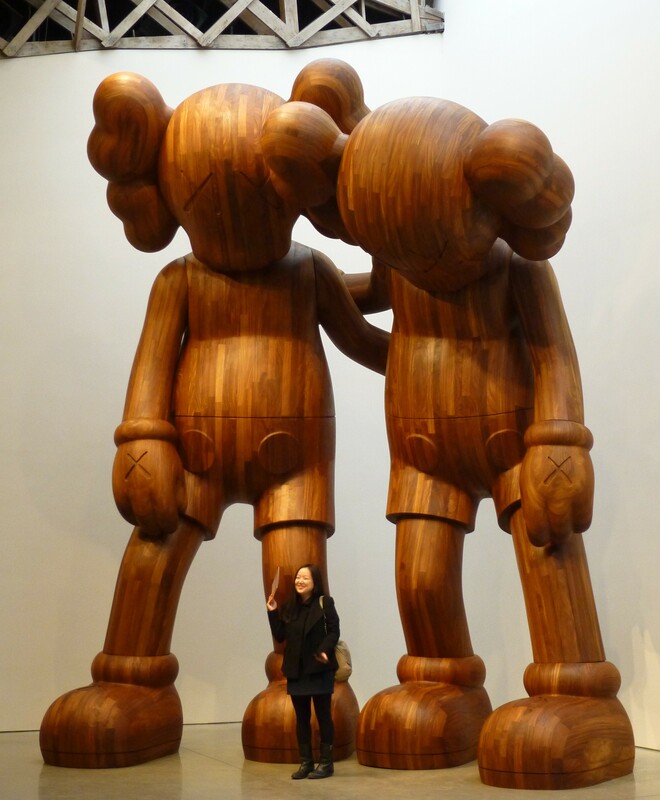 So it seems with Mary Boone’s current exhibit featuring two huge sculptures by pop artist KAWS. The sheer scale of these massive wooden figures immediately brought to mind Paul McCarthy’s recent White Snow exhibit at Hauser & Wirth. 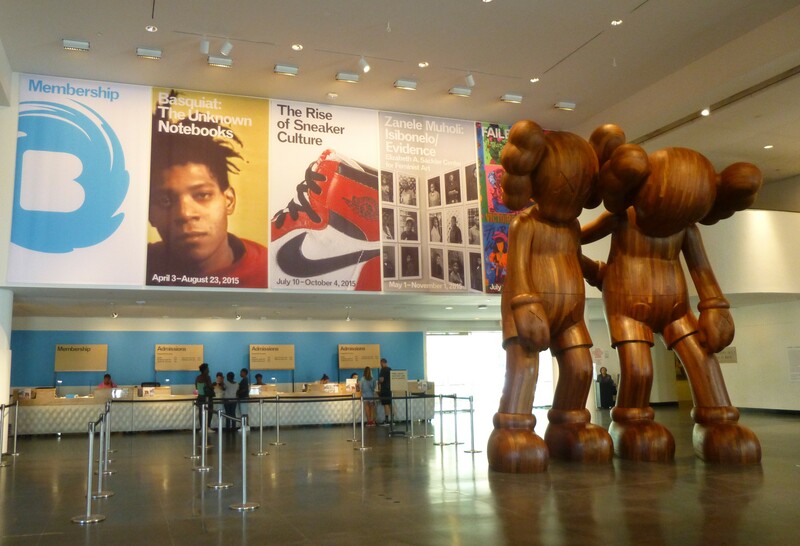 Well, you can see by the human persons who would not get out of the way of my shots that both of these imposing sculptures, which depict KAWS’ familiar figure known as Companion, stand at over eighteen feet tall and almost reach the gallery roof! Fun! 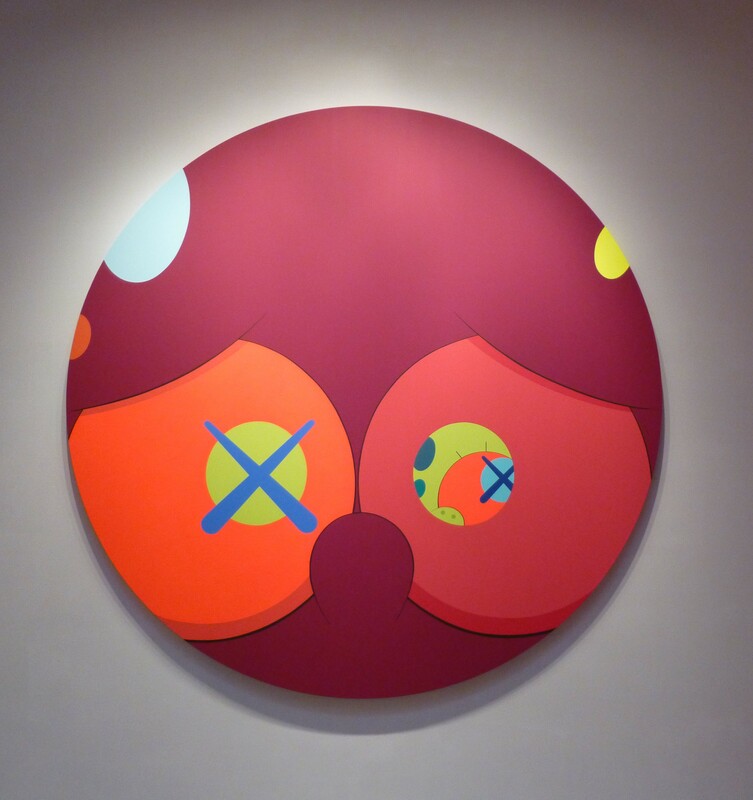 In the gallery’s much smaller rear room you can see three new paintings by KAWS, which are highly recognizable as following the artist’s signature style. 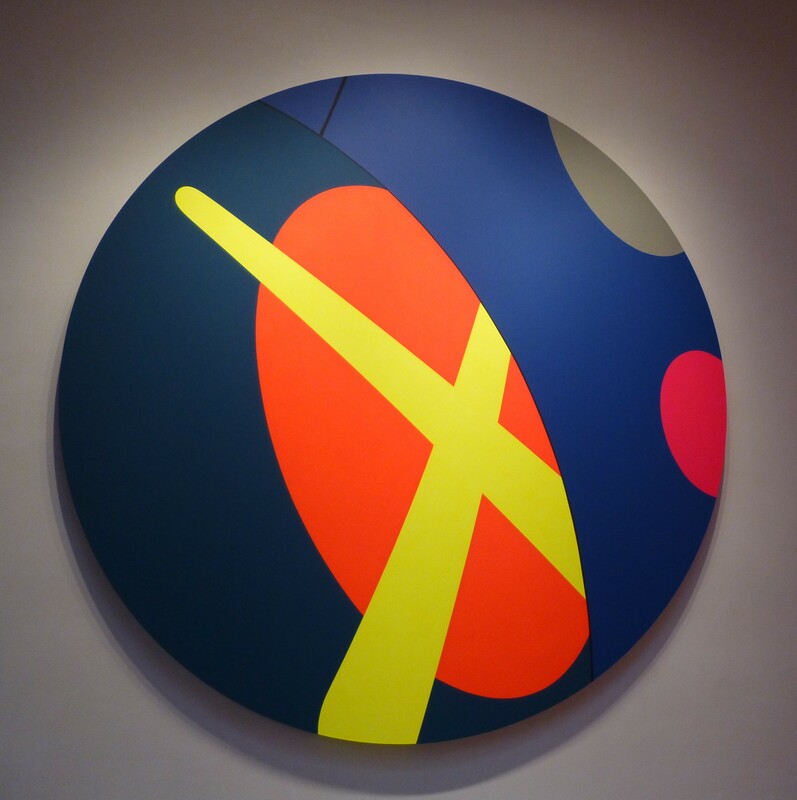 I love the bold colors and round canvases he used for these paintings! 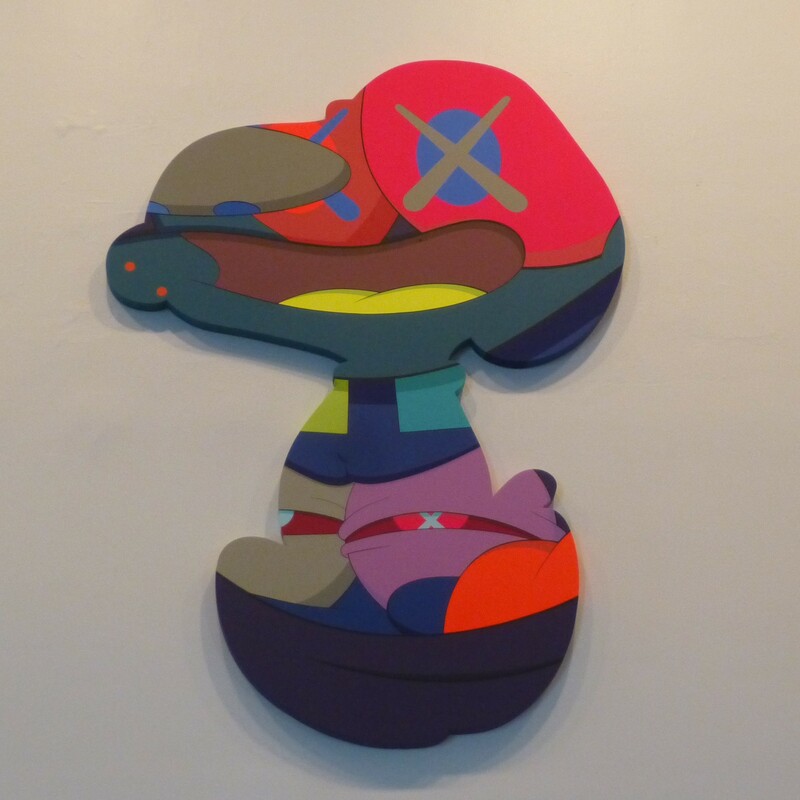 New Works By KAWS will be on Exhibit at The Mary Boone Gallery, Located at 541 West 24 Street, in the Chelsea Gallery District, through December 21st, 2013.